We are the leading manufacturer, exporter and importer of Surgical Gown and Apron. We have established ourselves as a renowned firm instrumental in offering a broad assortment of Surgical Gown. 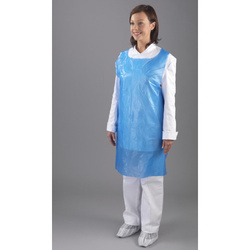 These gowns are extensively demanded by hospitals and medical centres to prevent direct contact and transfer of infectious bacteria and viruses from the doctors to the patient. Customers can avail these from us in various colors and customizable sizes. Furthermore, we provide these at market leading price and guarantee to deliver it at the earliest.